About Edwin A. Abbott (Author) : Edwin A. Abbott is a published author. 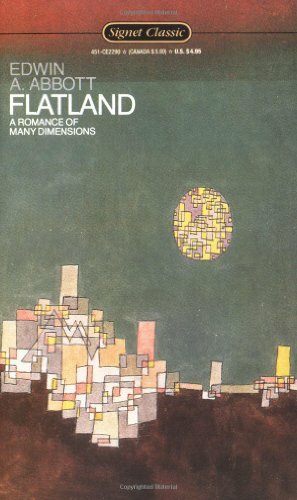 Some of the published credits of Edwin A. Abbott include Flatland: A Romance of Many Dimensions (Unabridged), Flatland. About A. K. Dewdney (Introduction) : A. K. Dewdney is a published author. Published credits of A. K. Dewdney include I-Spy Dinosaurs and Prehistoric Animals (Michelin I-Spy) and Flatland: A Romance of Many Dimensions (Signet Classics).